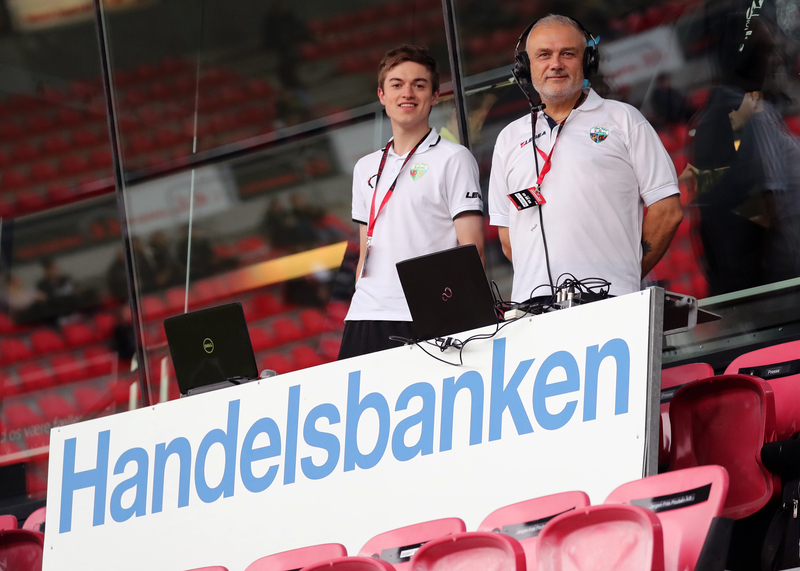 It was not the result that we wanted in Denmark, as the 3-1 defeat on the night meant that it’s The New Saints who exit the UEFA Europa League and FC Midtjylland who go through. I still loved it though, after all you can’t allow something external that you have no control over, like the result of a football match, to determine your emotional stability. Although I was there to work, it was still an enjoyable experience. I’m more at home in the press box than the stand and you still get to take in the game, although in a different context. My European adventures, as far as I’m aware anyway as you never know what’s around life’s corner, are now over for the foreseeable future. Denmark is the 13th nation that I’ve watched football in as I add another ground and country to the groundhopping list. Lead image with Sam Wood ahead of the game. Courtesy of TNS’ official photographer, Brian Jones. No-one can work 24 hours a day. seven days a week and prior to leaving for the game I visited the hotel pool.